In this guide we’ll cover how to combine Twilio Add-ons with Programmable Voice to use data from Twilio's partners in your Python web application. 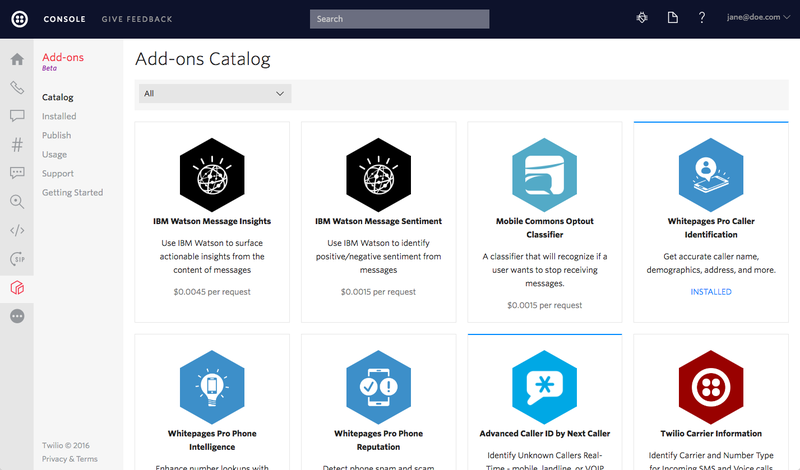 The sample code in this guide will use the Twilio Python SDK and the Flask web framework. Let's get started! 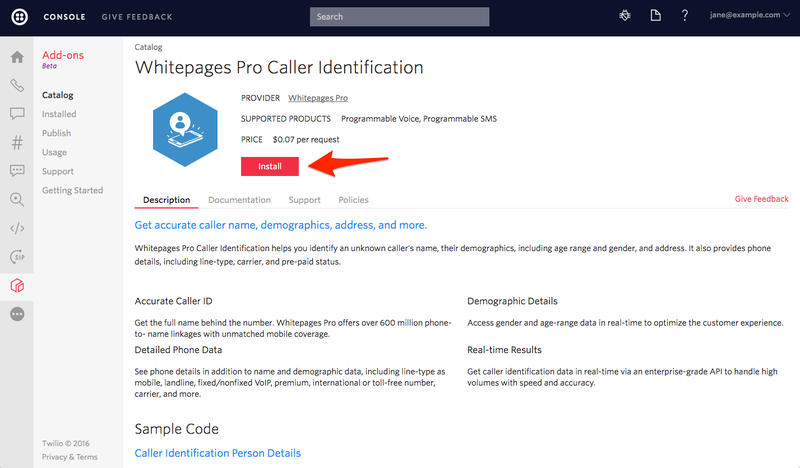 We focused on the Whitepages add-on in this guide, but you can just as easily use any of the add-ons available in the catalog in your Twilio Console.